eXample Consulting Group is pleased to announce the launch of its immensely practical LEAN SIX SIGMA BLACK BELT CERTIFICATION public workshops for the benefit of organizations and experienced industry professionals. eXample Consulting group had been specializing in advising corporates on Six Sigma and Lean process excellence initiatives and ventured into the public workshop segment just a year back with the launch of our immensely practical Six Sigma Green Belt public workshops. •	Trained and certified over 300+ professionals across various industry sectors in Six Sigma , DFSS and Lean Excellence methodologies with client and participant representation from USA, Canada, UK, UAE, Oman, Qatar, Saudi Arabia, Singapore, Nigeria, Malaysia, Australia besides India. •	Trained and Certified participants from leading companies in IT, BPO, Telecom, FMCG, Retail, Manufacturing, Engineering, Automotive, Logistics, Chemicals, Pharmaceuticals, Hospitality, Healthcare, Infrastructure, Energy, Media, Banking, Financial Services, Insurance, Consulting and many other sectors. Industry professionals with 2+ years experience (Company sponsored or Individual) and Green Belt qualified shall be eligible to enroll in the Lean Six Sigma Black Belt certification program. The schedule of our forthcoming LEAN SIX SIGMA CERTIFICATION Public workshops is given below.
) is a Solution Consulting firm offering Strategy, Process and Operational excellence, Six Sigma, Lean, DFSS, Balanced Scorecard, E-Business (ERP, SCM and CRM), Outsourcing and Offshore advisory consulting, training and certification services to global clients in Americas, UK/Europe, Middle East/Africa, India and Asia Pacific regions in Energy, Banking , Finance, Insurance, Automotive/Engineering, Manufacturing/Logistics, Consumer goods/Retail, Infrastructure/Construction, Telecom, IT and Shared Services sectors. 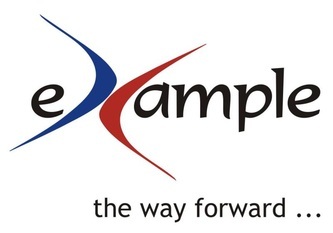 eXample has presence in USA, UK, Kenya and India and works through partners in Canada, South Africa, Bahrain, UAE, Oman, Sri Lanka, Singapore and New Zealand.